Our Snowgoose story is the happy collision of industry pioneers with a shared passion for unrivalled quality authentic food. 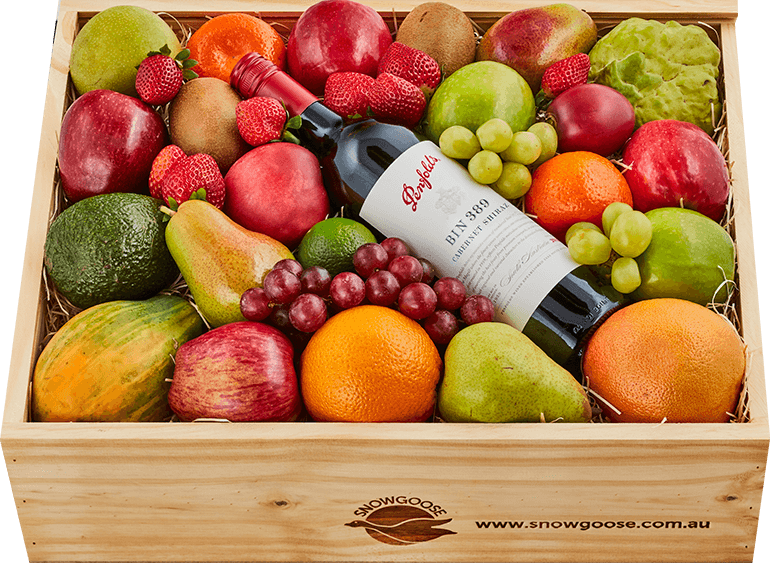 We started life as a boutique juice company using apples from our Snowgoose orchard, located at the foot of the Snowy Mountains near Tumbarumba in New South Wales. 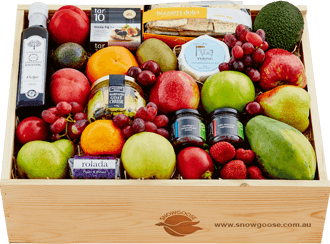 Today, our discerning customers relish the culmination of our 60 years’ experience, knowing that they’re giving the finest hand-selected gourmet produce rushed from farm to doorstep - with a deeply personal touch. 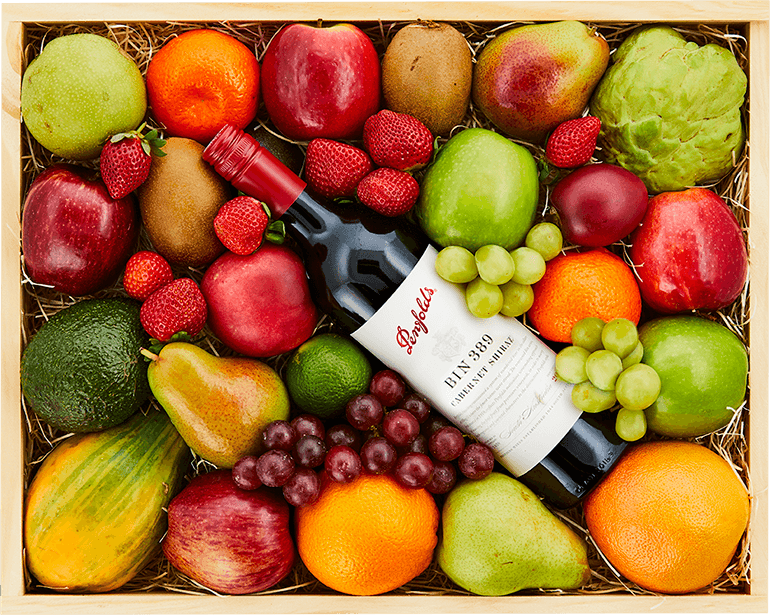 This ravishing collection of fruit, sweet artisan specialities and outstanding sparkly is guaranteed to thrill. 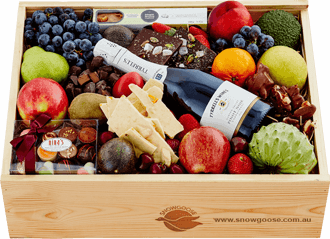 Greeted by a colourful display in our signature Snowgoose box, this gift allows some serious indulgence in the orchard flavours of our finest fruit, plucked from the trees just 48 hours beforehand! To complement the flawless fruit, we've selected a bottle of sparkling Pinot Noir Chardonnay Brut from the Tyrrell family's historic Hunter Valley vineyard. Crafted using traditional methods, it's the perfect bubbly to sip while savouring Nina's delectable Turkish Delight chocolate bar. Nina's master chocolatiers have also put together a personal selection of their handmade Belgian chocolates and a generous wrapping of White Chocolate Honeycomb that feasts the eyes as well as the taste buds. 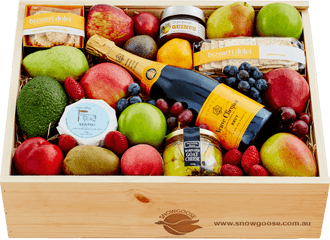 Generous and thoughtful, it's the most memorable gift to help someone deserving slow down and indulge.